Like a scene out of a horror movie, headlines read of toxic pesticides being sprayed on people in Argentina. After the recent good news of a ban on GMO corn in Mexico last week, more disturbing news relating to Monsanto has sprouted up this week. The Associated Press released a report on the relation between Argentina’s rising health issues and pesticides used in farming. A deadly mix of agrochemicals, genetically modified resistance, and a lack of regulation enforcement has resulted in a rise in cancer and birth defects among Argentina’s agricultural regions. Monsanto first introduced patented seeds and chemicals in 1996 under the impression that it would increase yields and reduce pesticide usage. Now, all of Argentina’s soy crops and a majority of its corn and cotton crops are genetically modified. In addition to using Monsanto products, Argentina adopted a farming technique proposed by them which requires no tilling of the soil, just planting seeds and spraying pesticides. 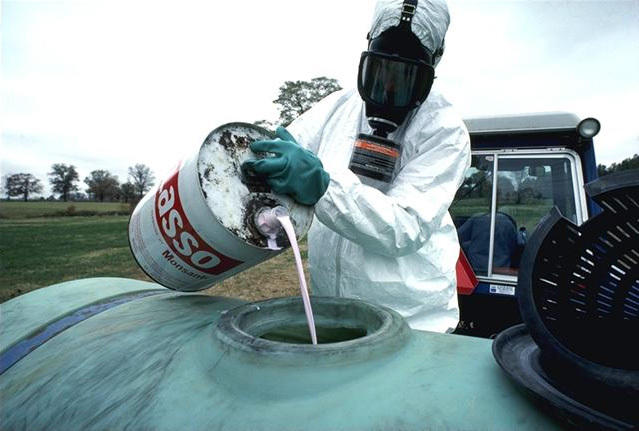 Because of this method, many of the very things the pesticides were supposed to kill have become resistant to the chemicals, resulting in more pesticide use. “Agrochemical use declined at first but has now increased from 9 million gallons in 1999 to 84 million gallons today,” according to the Washington Post. Although President Cristina Fernandez ordered a commission to study the impact of agrochemical spraying on human health in 2009, the commission has not met since 2010. This lack of follow-through on regulation seems to be one of the serious issues resulting in the exposure of Argentinians to these toxic sprays. Argentina has many regulations for where agrochemical spray can be released however, it is not enforced. The AP reports schoolteacher Andrea Druetta witnessed her boys showered in chemicals while swimming in their pool. Their home is only 33 yards from soy bean crops. Regulation would require any spraying to take place 550 yards from her home, but this is obviously ignored. In another case, farmworker Fabian Tomasi’s job was to refuel crop dusters as quickly as possible. In the process of refueling, he was often sprayed by the agrochemicals. Now at 47 years old, he is a “living skeleton,” diseased with a poor quality of life.